I always advise travelers — whether you’re going halfway across the world or on a stroll through a nearby town — to support local artists and crafters. The most authentic and memorable souvenirs that you can bring back with you will likely be the handmade, individualized pieces – rarely the mass-produced tourist tchotchkies. I’m the first one to throw a buck to a street performer, buy an LP off an unknown star-in-the-making peddling demos on the sidewalk, and scout out one-of-a-kind fashion finds for my wardrobe. You can easily remember your adventures through the unusual collection you accumulate. My latest find has already grabbed some major attention. Read on to see the wearable street art that I picked up in Trier, Germany! I took a day trip in Trier last Wednesday and came across a young woman in the town square twisting amazing accessories out of wire. She was making the pieces on the spot, which was both fascinating to watch and all the proof I needed that the pieces were all handmade in Germany. A crowd of school kids on a field trip gathered around her to watch her work, fascinated. 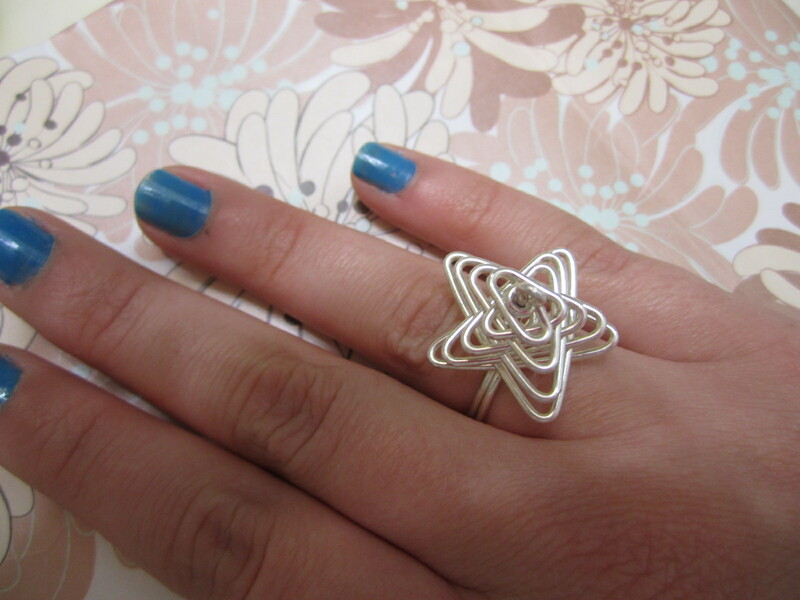 I absolutely had to have this 3D star ring from her table. It’s immaculately crafted, it spins like a windmill, is edgy in design, and was only 5 euros! You’d be hard pressed to find a bargain like that in a department store or souvenir stand, never mind for a handmade work of art. Though there’s nothing particularly “German” about the ring, (read: nobody wrote GERMANY on it, like it was a souvenir refrigerator magnet) I’ll still remember exactly where and when I got it every time I wear it. If anyone compliments me on it, I have a great story to tell about my day in Trier. I highly recommend scouting for local artists wherever your travels will take you this summer. It doesn’t have to be for wearable pieces like I’m interested in: the dancers, singers, pastry chefs, painters, musicians, crafters, designers, and caricaturists of the world bring creative life to the cities we visit. You’re totally right, and great find by the way! Handmade souvenirs are always the best. Thank you for posting! Thanks- glad you enjoyed it. Thank you for reblogging us as well! Definitely! I’ve already been wearing it for like a week straight. Thank you for this beautiful post. Your ring look amazing! It’s is so beautiful! Glad you enjoyed it. And thanks, I think it’s pretty amazing too.